At 20 months old, Little Sister B knows quite a few words, which makes communication with her much easier than before. However, as well as the usual (NO, Mama, Dada, cup, blankie, etc) she knows, and uses, three words that I'm fairly certain Big Sister E did not know at this age: cake, cookies and ceem (ice cream). What can I say? We like our desserts. With summer in full swing around here, there's nothing like nice cold ice cream as a sweet treat that just hits the spot. And no one knows that better than the experts in delicious ice cream: Good Humor. Celebrating their 90th anniversary of bringing a variety of tasty ice cream to consumers -whether in grocery stores or from their iconic trucks- Good Humor is one of the most well-known names in the frozen treat business. With so many flavors to choose from, how can you go wrong? Unfortunately, we almost did. It took my husband four different stores in our area to locate one that actually sold Good Humor and then the only type offered was Strawberry Shortcake. Don't get me wrong, there's nothing wrong with Strawberry Shortcake, it's just that once I had spotted the Cookies & Cream and the Chocolate Eclair on Good Humor's website, the chocolate cravings had already set in. When it came time for the taste test though, Strawberry Shortcake held its own just fine. In fact, it was quite a hit for my two happy taste-testers. What makes these Good Humor bars different from those of other brands is all of the different layers that are enjoyed in each bite. 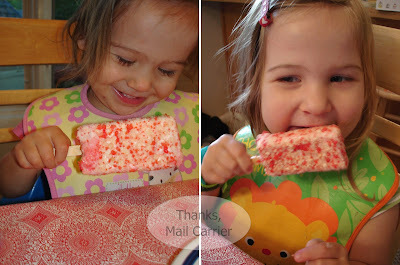 The outside of the Strawberry Shortcake Bars are lightly covered with pink and white dots of cake over vanilla ice cream and pink strawberry filling. It all comes together in a sweet, slightly chewy mix. Who doesn't like the combination of cake and ice cream together? Whether you're a fan of chocolate, strawberry or toasted almond, there hasn't been a better time to pick up a Good Humor Bar than right now. 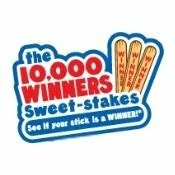 From now until September 6, 2010, the Good Humor Sweet-stakes is rewarding 10,000 instant winners with prizes such as t-shirts, hats and music downloads. Simply purchase one of their specially marked single-serve bars and check your stick for notification. If it's your lucky day, head over to Good Humor's website and submit your code to find out what you have won. Not only that, all of the instant winners who enter their code will automatically be entered in the grand prize drawing for $10,000... which, by my calculation, could buy you somewhere around 7,000 more Good Humor Bars. That's what you'd spend your winnings on... right? To find out more about Good Humor, their Sweet-stakes or where to purchase their tasty ice cream near you, visit their website or check them out on Facebook. I did mine today as well, and got my favorite chocolate eclair....delicious. The strawberry would have been my second choice until I saw some of the other varities on the site. Walmart only had these two. You've been featured at To-the-TOP Tuesday Blog Hop! Feel free to grab the code & post with us, I've already linked your blog! Visiting from To the Top Tuesday. That icecream looks tasty! following you! Anyway, pop on over to http://www.southernmomentum.com when you get a chance... it's where all the sleep-deprived moms hang out! Followin' you now through TTT Tuesday! Hope you can stop by and 'visit' my space too! Toasted almonds are the best! I found you through the blog hop. I'm your newest follower. Love your blog! I'm your newest follower from To the Top Tuesday! These picture are making me crave some ice cream! 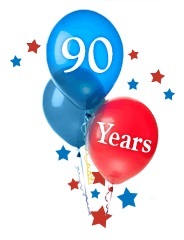 Great blog - I'm your newest follower! I hope you'll take a second, swing by my blog and follow back! I Love the strawberry shortcake one!! !